Being able to deliver an outstanding service to our customers is highly reliant on the excellent people we have here at ilicomm. We require people who are dedicated to outstanding service, passionate about IT and always go that extra mile for customers. In return we reward our staff with competitive salaries, qualification allowances, and other great benefits. You’ll also be working alongside a friendly team of IT specialists who are passionate about their work. Hi there, we’re expanding our team! View the job openings below. This is an excellent opportunity for an experienced 2nd line IT Support Technician to join a customer focused support team providing telephone, remote IT support and onsite support. ilicomm are a successful IT managed service provider and are going through continued growth and expansion in a number of key areas. This roll will be 75% service desk based with occasional client site visits to work on projects and provide onsite support. To be considered for this position you will be an outgoing and friendly individual with the confidence to deal directly with external customers and ideally with around 18 – 24 months IT Support experience under their belt. Experience in supporting users face to face, over the phone and/or via email. The ability to solve problems and think analytically. Excellent understanding of IT and networking. Strong written and verbal communications. Good knowledge of Windows server administration, troubleshooting and IP addressing. Align to GDPR regulations; ensure the information stored on computers or networks is not disclosed to unwanted parties or modified inadvertently and may also create and maintain security systems. Enhance company’s documentation system as to satisfy filing & searching needs. Ensure all files are stored to a certain standard. Data standardisation and file sharing. Any experience within an ITIL environment or an ITIL qualification would be highly beneficial but not essential. Our excellent benefits package includes company pension scheme, flexible/home working, training per annum, company laptop, access to the company vehicle and an excellent salary. Click the button below and send your CV with a cover note. 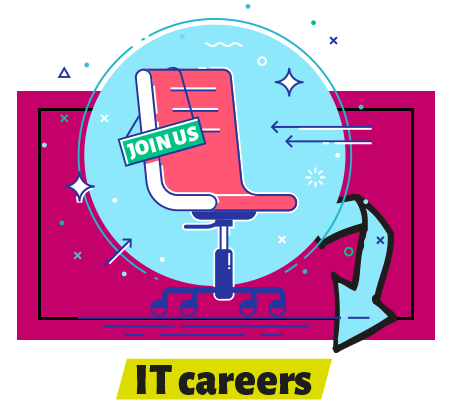 This is a unique opportunity to kick-start your IT support career with an experienced Microsoft partner. We are small enough to give your development individual attention and for you to make a difference to us. We are experienced enough to equip you with industry best practice and a range of opportunities. Establishing good working habits and getting the right experience now will serve your career well into the future. You will learn the key IT and operational fundamentals of how an IT helpdesk provides external clients excellent customer service in an efficient manner. There will be opportunities for you to contribute to our knowledge as a company. You will be given research opportunities and be expected to contribute in training sessions.